Proprioception means "sense of self"
Proprioceptive signals from the joints, muscles, tendons and skin send information to the brain about the position of the body, the legs, feet and ankles and where they are at any given time without us having to think about it. Stop just a minute… Do you think about walking? Putting 1 foot in front of the other? Or walking on uneven surfaces and how you must place your foot and engage which muscles to keep you from falling? For most of us, no. But for some of us, walking on uneven surfaces can be scary. Standing with your eyes closed with your feet touching each other without swaying or feeling unstable, or even worse, beginning to fall is a sign that your "sense of self" and the position of your joints, feet and ankles is not working properly. Do you have problems with balance? Do you have a fear of falling? When you walk through a room, do you hold onto furniture, counters or other objects to maintain your balance? Do you use a cane, or walker or any other type of device to help with your balance? Have you ever fallen? One in three adults over the age of 65 fall each year and wind up in the emergency room, hospital, surgery or nursing home. One out of five falls causes a serious injury such as a broken bone or head injury. Most that are hospitalized are due to head trauma or hip fracture. Falls are the most common cause of Traumatic brain injuries. Falls that cause head injuries can be very serious especially if the person is taking certain medicines like blood thinners. An older person who falls and hits their head should see their doctor immediately to make sure they don't have brain injury or a brain bleed. According to the Center for disease control, Falls are the leading cause of injury, death and hospital trauma admissions among older adults each year. Conditions that can make you more likely to fall include vision and hearing problems, foot pain or poor foot gear, certain types of medications including over-the-counter medicines, weakness of the legs and ankles, vitamin D deficiency and difficulty with walking and balance in general. Many falls occur in the home. Throw rugs on carpet, low-lying furniture and any clutter or objects on the floor can lead to falls. 1). Talk to your doctor or healthcare provider about your concern for falling and have them evaluate you for the risk of falling. 2). Ask your doctor or pharmacist about your medicines especially if they make you sleepy or dizzy or foggy. 4). Have your hearing and ears checked annually. 5). Do strength and balance exercises to make your legs stronger and improve balance. 6). Evaluate your home environment. Get rid of throw rugs especially on carpet. Clear your path where you normally walk including removing any low-lying furniture or objects you might fall over. Make sure you have adequate lighting especially at night for when you get up for the bathroom. Use rails on both sides of the stairs and grab bars inside and outside your tub or shower and next to the toilet. Falling in our older population leads to serious injury and even death. 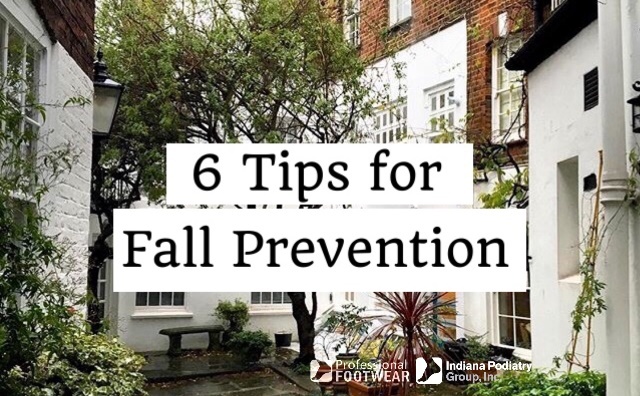 Take steps now to prevent your next fall or that of a loved one.